Well, after a long tournament, we are now down to our final two competitors. And given how these two have just plowed through the competition, I’m wondering if we should’ve just had these two compete against each other from the beginning. But… whatever. 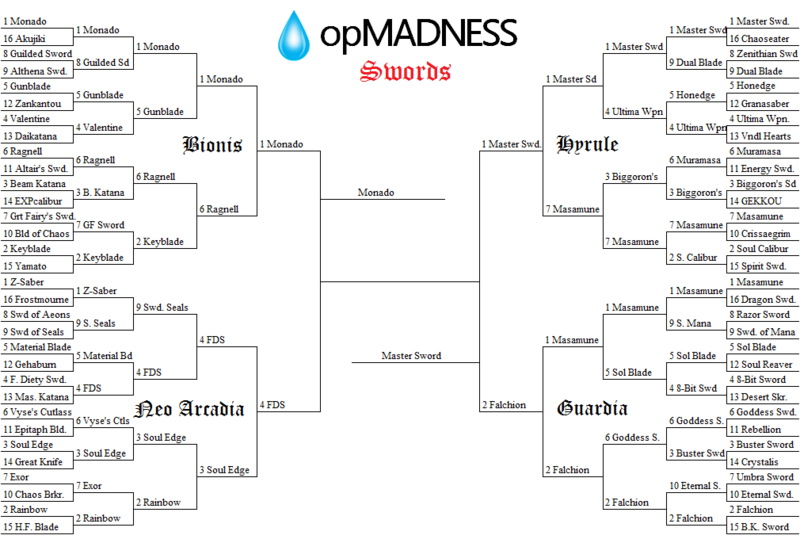 And if you don’t know which swords have been on a collision course of fate, here are the results from the previous round. And now, ladies and gentlemen, IT’S TIME! 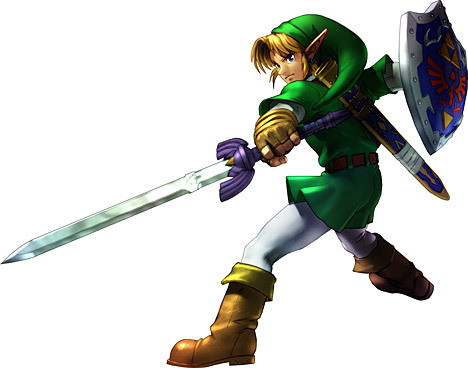 First, out of Hyrule, this is the ultimate sword of its series. It has been used from early on as the ultimate weapon against the great evils of the world and is blessed by goddesses and sages alike. This is the runner-up to the Top Ranked sword of 2013 and our overall number 2 seed in the tournament. 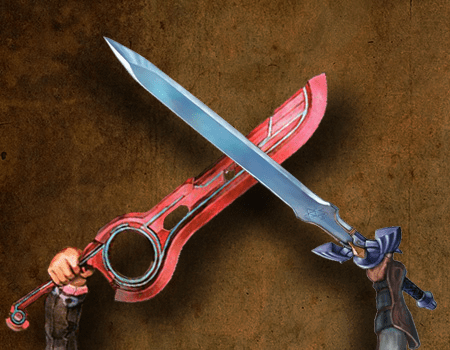 From The Legend of Zelda series, the Blade of Evil’s Bane, THE MASTER SWORD! And, out of the Bionis, a newcomer that allows you to see certain events in the future in an effort to alter them. It also has to power to do its master’s bidding, whether it is for creation, destruction, or felling a powerful enemy. This is oprainfall’s Top Ranked sword of 2013 and the overall number 1 seed in our sword tournament. 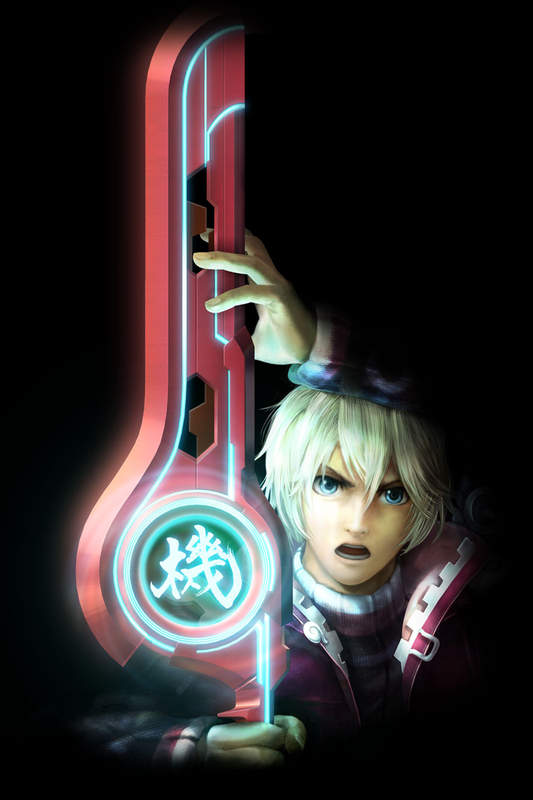 From Xenoblade Chronicles, the God-Slaying Sword, THE MONADO! Alright, voting is open until Tuesday night. Good luck to fans of both swords.